Last week Film London and Escape Studios, in association with Universities UK, hosted Mend the Gap - an evening of discussion and debate around the current animation training and employment landscape. Chaired by Film London’s Animation Consultant, Julian Scott, a panel of industry experts and university representatives came together to examine how academia and the animation industry might solve the growing animation skills challenge. 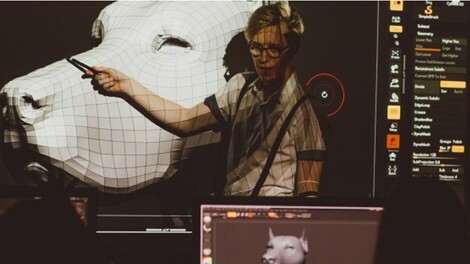 UK universities produce over 600 students annually with degrees in animation, yet the animation industry sources a significant section of its talent from abroad. Industry complains that UK graduates aren’t ready for work and academia wants industry to be more proactive in helping mold degree courses. Questions were raised such as can universities keep their courses relevant in an ever evolving and dynamic industry? And should industry be more accepting of what universities can really deliver and play a bigger part in new entrants’ development? While it was recognised by some that university isn’t necessarily a passport to a job – it provides so much more than that – it was also acknowledged that more needs to be done to equip UK graduates with the skills required to compete with their international counterparts. Experts from ScreenSkills, universities and the animation sector agreed that everyone has a part to play in mending the gap and will be meeting again separately to continue the conversation.